for UK businesses from Katara. 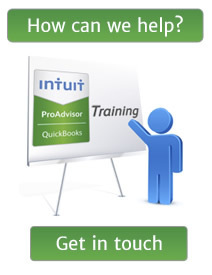 Katara customers understand that QuickBooks training can save them time and money. With bespoke in house or off site training designed to cover your specific needs, clients can resolve outstanding issues in an instant and learn to use the full range of powerful accounting and reporting features to improve business performance. With over 10 years’ experience training solely in QuickBooks UK, Katara provides the most up to date QuickBooks ‘Pro Advisor’ training to ensure your accounting software delivers the right information to help your business grow. Over time, Katara has worked with a diverse range of customers. From accountants to manufacturers, service providers to not-for-profit organisations, see what clients have to say about Katara QuickBooks training uk here. QuickBooks training from Katara supports UK users of both desktop and online versions of QuickBooks including QuickBooks Regular, QuickBooks Pro, QuickBooks Premier, QuickBooks Enterprise, QuickBooks with Payroll and Barclays Clearly Bookkeeping. Katara is also able to support QuickBooks Online versions including QuickBooks Online Essentials and QuickBooks Online Plus. From helping set up your QuickBooks file and building your accounting processes through to QuickBooks problem solving, Katara provides a flexible approach to training to help your business develop and grow. To find out more about how Katara training can help, click below to get in touch or call 01256 764406.